It's been a while since I've knit a shawl with yarn of heavier weight than sport. Eleven years, in fact. I was somewhat surprised to even find suitable yarn in my stash when sign-ups for the Almina shawl test knit opened! I was drawn to the distinctive look of the cables in this pattern, and was delighted to find out they were easier to knit than they look! The pattern is intuitive enough that you only need to glance at the instructions every once in a while, and it's a fairly relaxing knit. Adjusting the size is also very easy; instructions for that are included in the pattern. It's written for worsted or aran weight yarn, but considering the nature of the pattern, you could work this in any weight you want and get any size. 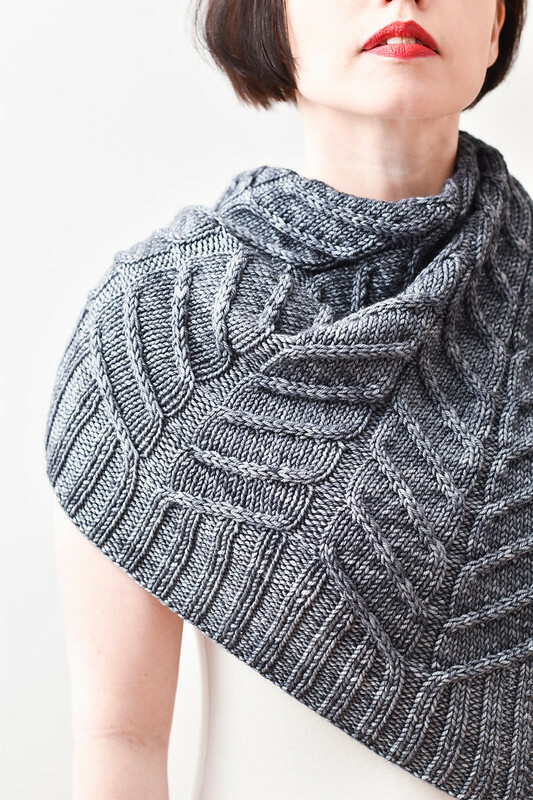 I used madelinetosh Tosh Vintage in the colorway Charcoal for my shawl. Wow! Really gorgeous shawl - the stitch definition is wonderful!